During the spring and summer months, the temperatures can rise inside your home and become very uncomfortable. But keeping your home cool with your air conditioner can be very expensive. 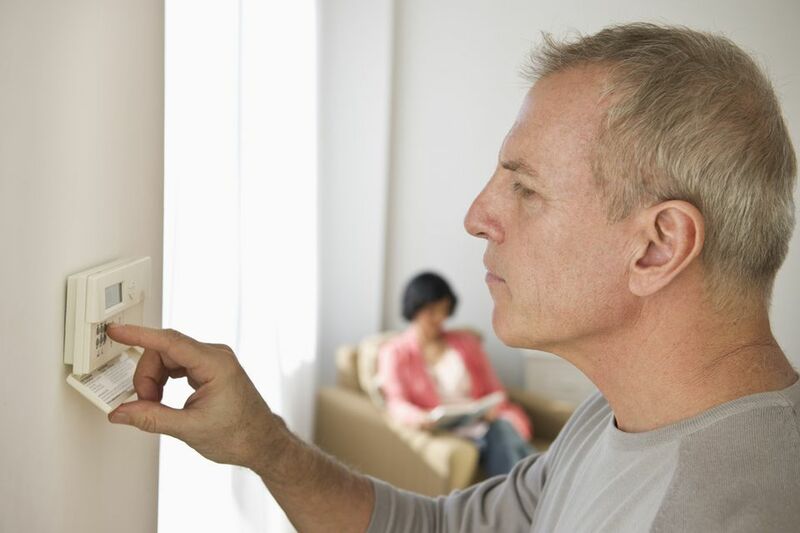 Many people don't realize how important the thermostat setting is for energy savings. Simple and inexpensive actions can help you save money while keeping you cool all summer long. While you may feel the most comfortable when the temperature is in the 60's, that can send your bill into the hundreds each month during the summer. Try and set your thermostat's temperature to the highest possible degree you can stand. The closer the temperature is on the thermostat to the temperature outside, the less your air conditioner has to work and the lower your energy bill will be. The ideal temperature for your thermostat setting is 78 degrees Fahrenheit. In the winter, it shouldn't be set above 68 degrees in order to maximize savings. Getting used to a warmer indoor temperature can take some time, but it can be very beneficial to your budget. One way to get used to a higher thermostat setting is to raise the temperature very gradually. For instance, if you're used to keeping it set at 70 degrees and want to work up to 78, increase the temperature by one degree each day. You'll be amazed how quickly your body adjusts to the difference. Your system will adapt so that even the higher temperatures will feel comfortable to you. A great way to minimize your costs is to invest in a programmable thermostat. These upgraded devices allow you to set the thermostat to different temperatures depending on the time of day. For instance, at 9:00 a.m. when you are away at work, you can set your thermostat into the 80's since no one is home to keep cool. You can program it to lower the temperature back to 78 around 5:00 p.m. when you return to your house. By automating the system, you can save significantly on your energy bills; a programmable thermostat is a useful investment year-round and can pay for itself in just a few months. Ceiling Fans: Ceiling fans can make a room feel 4 degrees cooler, so you can set the thermostat higher and reduce your bill. Block the Sun: The sun's rays can dramatically heat up your home quickly, particularly in the afternoon. Use blinds and blackout curtains to keep out the light and keep the inside cool. Open the Windows: In many areas, temperatures can drop by as much as 20 degrees at night. In the evenings, turn off the air conditioning unit and open the windows to let in the cooler air. When you wake up, close the windows and pull the shades and blinds to trap the colder air inside. While the summer months can make it unbearably hot, you don't have to sacrifice comfort to save money. Using your thermostat strategically and adjusting it to account for variations throughout the day can result in significant cost savings.